Long gone and forgotten are the days when commercial activities such as exchange of goods and services for money, between two parties, had to take place in a traditional setting. The customer going to the marketplace, checking out a variety of products, choosing required stuff, purchasing them and then paying the specific amount is what marks traditional commerce. However, nowadays with technology innovations, modern ways of selling goods and services have come up. For instance, e-commerce, where people buy and sell products via the Internet. Even with the advent of e-commerce, some people prefer traditional commerce because they think that e-commerce is not safe. However, both methods are reliable to use. The focus of this article is to discuss the differences between traditional and e-commerce. 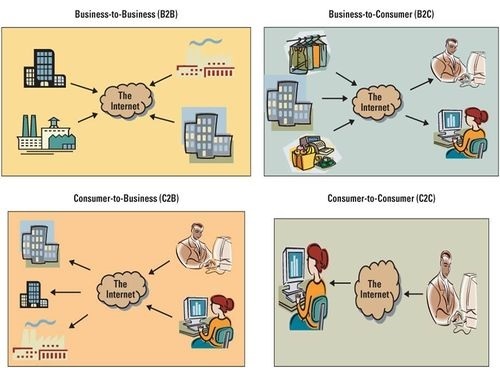 But before that, we need to understand how these modes of goods and services exchange work. Traditional commerce involves the exchange of goods and services between two people face to face. Like mentioned in the introduction, it is one of the oldest modes of buying products and services. It is done by almost everyone all over the globe. Just walking into a store or a marketplace, selecting an item and paying for the product. Traditional Commerce is part of a business that involves all the activities that expedite business. The main two kinds of actions include trade and trading auxiliaries. Trading is, of course, the buying and selling of goods and services for money. Trading auxiliaries refer to business-related activities such as banking, transportation, insurance, packaging, marketing and advertisements, and more. Auxiliaries focus on helping to achieve successful business transactions between any two trading parties. More on traditional commerce is that it includes all the activities that make straightforward goods and services exchange from the manufacturer to the consumers. Production of goods does not reach the consumer directly. Reasonably it passes various activities included in commerce. Traditional commerce depends on routine business operating hours during a specified period. It also requires occupying a retail store and housing inventory. Business transactions mostly face to face interactions with customers. For new and repeat business, traditional commerce thrives on word of mouth, customer referrals, and networking. For business success, personal communication is, therefore, a key factor when relying on traditional commerce. Many businesses that trade their goods and services like this network within the society establish relationships with town leaders, chambers of commerce and also sponsor local sports teams and events to attract business and develop relationships within the community. Traditional commerce allows a buyer to be physical inspect goods and test out services before making a purchase. Conversely, with e-commerce, products and services are not examined physically. As far as consumer interactions are concerned, traditional commerce provides face to face. On the other hand, e-commerce can be termed as screen to face interaction. Traditional commerce is limited to a particular geographical location while e-commerce is global and has no physical limitation. Business relationships with conventional commerce is linear while with e-commerce it is end to end. When it comes to marketing, traditional commerce takes on a one-way marketing approach. E-commerce, on the other hand, takes on a one on one marketing strategy. Modes of payment in traditional commerce include cash, cheques, and credit cards. With e-commerce, there’s electronic funds transfer, credit card numbers and more. Good and delivery of services is instant with traditional commerce while e-commerce delivery takes some time. It is difficult to establish and maintain standard practices in traditional commerce. However, with e-commerce, uniform strategies can be quickly established and maintained. Following the discussion above, both traditional and e-commerce are modes of exchanging goods and services. Each has its pros and cons. e-Commerce is like conventional commerce with the major difference being the platforms via which the exchange and business transactions occur. E-commerce saves consumers a lot of time and is therefore convenient because you can buy goods and services in the comfort of your home or just from anywhere at any time. Traditional commerce works in such a way that you have to take time and go to the place/ store where goods and services are stocked hence consuming a lot of time. E-commerce is not appropriate for perishable goods, and high-value items, so traditional commerce is the one that can better work with such. On the other hand, it is not suitable for software or music purchases. Hence, both modes are needed in the market today. Georgina Nderitu. "Difference between Traditional Commerce and Ecommerce." DifferenceBetween.net. May 9, 2018 < http://www.differencebetween.net/business/difference-between-traditional-commerce-and-ecommerce/ >. Wow this is a very vital information, it has rely helped me a lot. Thanks. I love it. Kamal. Difference between Traditional Commerce & E-commerce | Traditional Commerce vs. E-Commerce. 25 September 2017. Website. 2 January 2018. S, Surbi. Difference between Traditional Commerce and e-Commerce. 15 September 2016. Website. 2 January 2018. URSify Enterprise. Traditional Commerce Vs E-Commerce. 2 June 2015. Website. 2 January 2018.